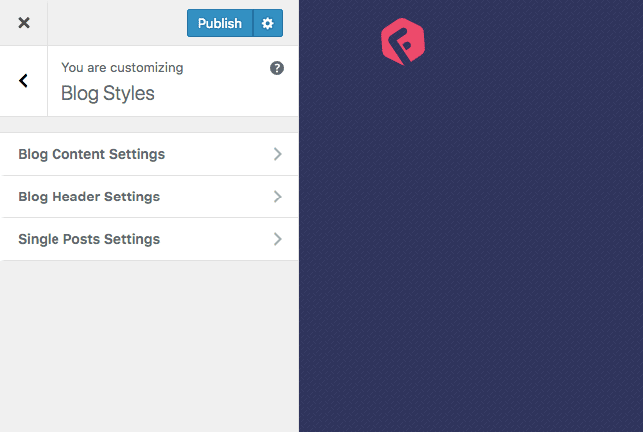 Flexia offers a modern blog for your site that you can configure from Customize > Blog Styles. You will see multiple sections organized under the Blog Styles panel. 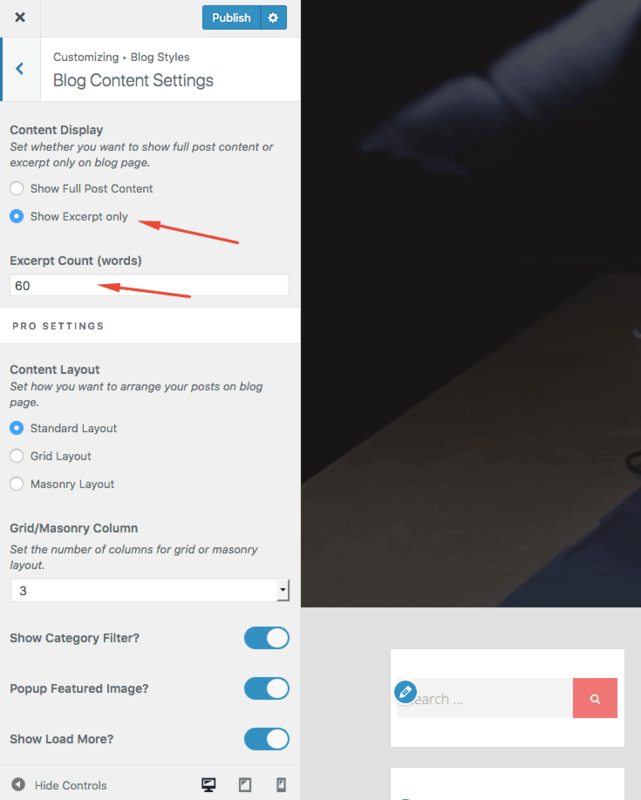 You can set Content Display to show full post content or excerpt only on blog page. Also you can control the excerpt length to create more organized layout with equal height and width. There are lots of option available in Pro version such as Ajax load more, Masonry grid, Flexbox Grid, Category filter and more. You can configure the large header for your blog page. 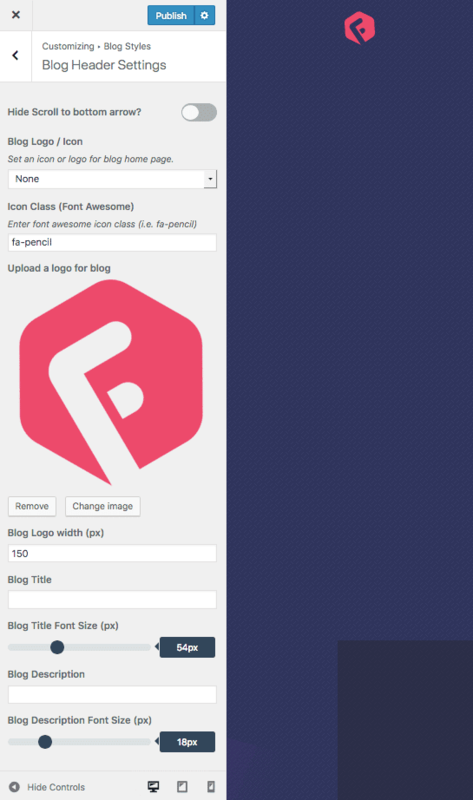 You can show withe an Font Awesome Icon or your custom image and control the width. You can also set a custom title and description for your blog. If you leave them empty, your site name and description will show here. You can set the default post layout (global) from Customizer. 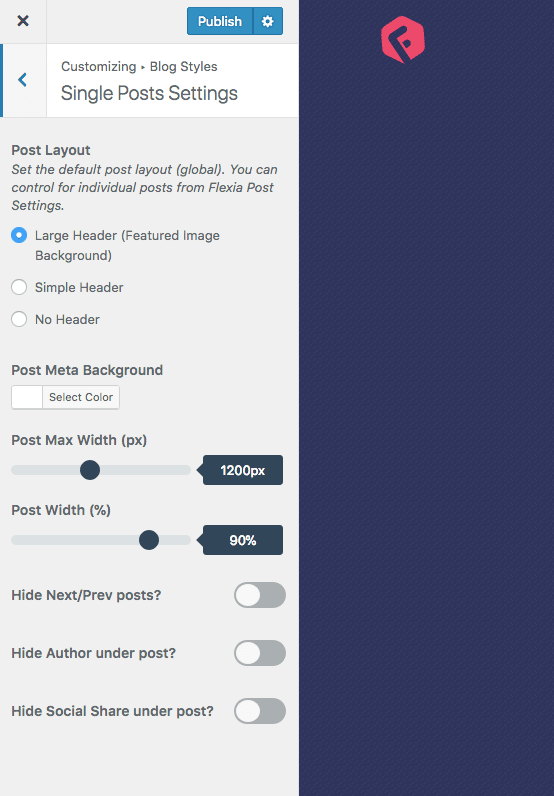 You can also control these settings for individual posts from Flexia Post Settings under the post editor screen for each post. Take control over the single post width, max width and show/hide Navigation, Author info and Social Sharing options. Complete freedom to customize your single posts.